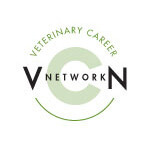 Great opportunity for associate veterinarian. Seeking an associate veterinarian to join a top-notch small animal hospital dedicated to excellence in medical and surgical care and professional, courteous service. West Villa Animal Hospital is a 3-doctor practice in Kearney, NE (a university community of 35,000 known for being a "desirable place to live." Located in a spacious 10,000 sq. foot modern facility, West Villa is equipped with up-to-date equipment and an experienced team of veterinary care technicians and animal care personnel. We offer a very competitive salary with generous benefits. Please consider joining our team by contacting us at : cdlarsen5@gmail.com or 308-293-1499.